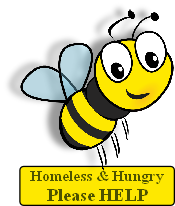 The Give Bees a Chance Charity will conserve the Bee by using existing land and by purchasing additional areas to create a corridor of land which can be set aside to enable healthy Bee populations to exist and grow. These areas will include Bee hives as well as plants which the Bees can pollinate and will be farmed organically without the use of pesticides which will allow the growth of a natural bee habitat.. These areas will also encourage other pollinators such as the Bumble Bee, Moths and Butterflies so they can work together in harmony. 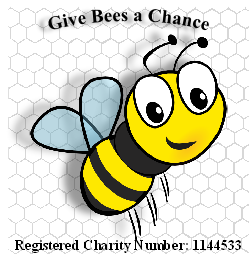 The Give Bees a Chance Charity are also looking to train more beekeepers and encourage a strong sense of community, ownership and awareness as to the real value that we must place on Bees and their value in the world. 1 Promoting The survival of pollinators that are not harmful to man. 2 Providing land and space to allow for the restoration and protection of natural land, flora and fauna, without recourse to man made chemicals. 3 training the public in bee keeping and raising the public awareness of the importance of bees to the the environment. 4 To advance the education of the public in the conservation, protection and improvement of the natural environment and to provide education on beekeeping and the role of the bees in the environment. The natural progression of our aims compliments the development of both permaculture and biodiversity principles and broadens the community involvement that we intend to foster. Permaculture offers a radical approach to food production and urban renewal, water, energy and pollution. It intergrates ecology, landscape, organic gardening, architecture and agro-forestry in creating a rich and sustainable way of living. It uses appropriate technology giving high yields for low energy inputs, achieving a resource of great diversity and stability. Biodiversity is the total variety of life on earth, which includes genes, plant and animal species, and the ecosystems of which they are part. Biodiversity is a fundamental part of our heritage, conserving important habitats and species, and we aim to educate people to participate in and learn more about the natural world. This is crucial for the survival and well-being of us all, yet this rich diversity is being lost at a fast rate because of human activities. We have set ourselves a challenge, at the outset of of this charity. we shall be relentless in the pursuit of our goals, because, as stewards of the land, we consider it our duty to educate the younger generations to make our path the chosen way of life for the generations to come. Our driven band of three, Harry Watts, Greg Carver and Melvin Long are of an age where they have climbed the hill and whilst not quite ‘over it’! ,they can see the valley below, its a valley that needs tending and nurturing. It needs to start to be lovingly restored to the traditional values that respect mother nature,and her creator, this will enable us to leave our legacy for the future well-being of mankind.